Ahead of Lying Bastards launch of new single Head to Tokyo, Getintothis Craig MacDonald gets an exclusive look at their new video. Lying Bastards have revealed the video to new single Head to Tokyo, which is set to be launched with a special performance at the brand new Black Lodge venue on Kitchen Street next Friday, February 26. The launch party will include a set from Lying Bastards themselves as well as bringing a stellar supporting bill to the night. The band have announced that the evening will serve as a tribute to Viola Beach and their manager Craig Tarry following the devastating events in Sweden, with the group holding a minute silence during the event. With the likes of Holy Thursday, Psycho Comedy, The Floormen, Red Rum Club and a few others surprises in store, this is sure to be one night not to miss. Read about more quality up and coming acts in our Introducing section here. The video to the groups debut single has been directed by Sarah Anderson with Dave Straighton on Director of Photography duties. Head to Tokyo, is a real feral beast of a track, that brings a scorching riff crashing together with a pure lo fi bliss. Having originally featured on the bands Habitual Sabotage EP, the group will be hoping it makes the cut to their forthcoming debut album. 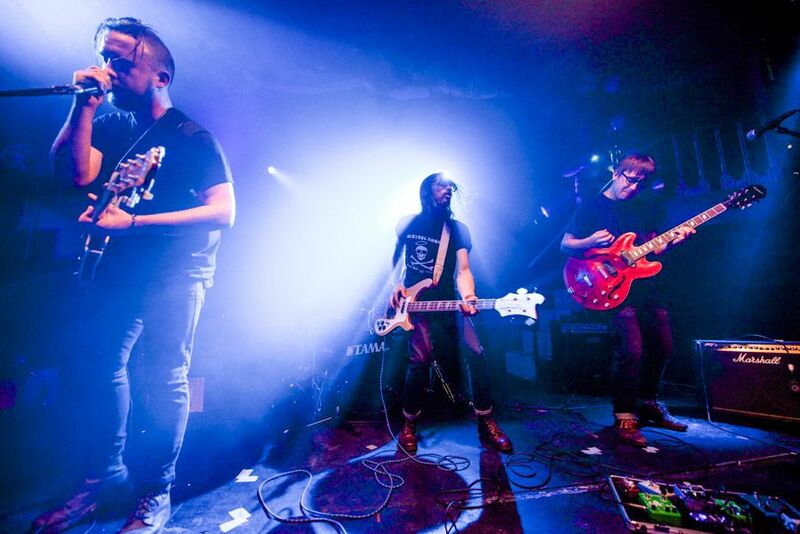 With a tour of Japan also in the pipeline for April, the group are ready to embark on a full scale assault in support of their new release and as those who caught them at FestEVOL would know, they are equally as riotous in the flesh. Expect the small confines of Black Lodge to be fit to burst with this one.